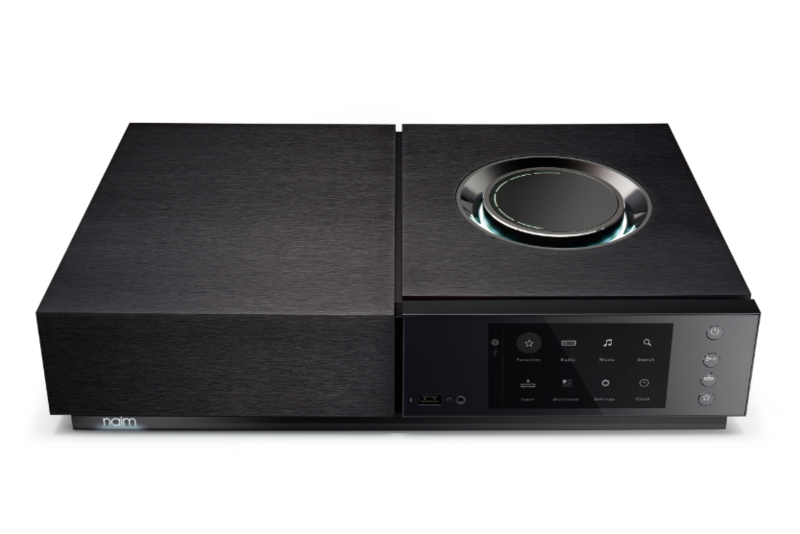 Setting up the Naim Uniti Nova is easy. The most time-consuming aspect of the procedure is inputting streaming services and Wi-Fi passwords. I used the Uniti Nova in two different rooms with three different speaker systems. Once it was set up, moving from one system to the other required no additional steps (besides the physical ones of moving and attaching wired inputs and outputs). Whether the Uniti Nova’s 80-watt amplifier delivers sufficient power will be a function of your loudspeaker’s sensitivity, the size and construction of your room, and how loudly you like to play your music. In my main room, with the 95dB-sensitive Spatial X-2 loudspeakers, the Uniti Nova had power to spare. Connected to the less efficient Elac Adante AF-61 87dB-sensitivity loudspeakers in my multi-purpose living room, I also had sufficient power. If your speakers are less than 84dB sensitive, plus you like your music loud, and you have a large room, you may find you want a bit more power than the Uniti’s 80 watts. In day-to-day use I employed the remote apps on my iPhone and the Experia tablet, as well as the supplied remote, to control the Uniti Nova. While there are several buttons on the Uniti Nova’s front panel, you will need the supplied remote or Naim app to access all of the Nova’s functions. While I gravitated toward the Experia touchscreen, my smart-phone-phobic wife found the remote more to her liking. And while the Naim app worked just as well on my iPhone as on the Sony Experia, I much appreciated the additional screen size of the Experia tablet when using the app. For some reason Naim chose to install a mini-stereo headphone connection rather than a full-sized ¼" standard plug on the Uniti Nova. But despite the small opening the headphone output proved to be most accommodating in the range of headphones it would drive without issues. The Uniti Nova had enough gain to power a pair of Beyerdynamic DT 990 600-ohm headphones well past comfortably loud. At the other end of the sensitivity scale, the 121dB-sensitive EarSonics EM9 IEM were dead quiet with no hiss or hum at normal listening levels. I could hear some noise through the EarSonic IEMs when no signal was present if I turned the volume up to maximum levels. But in normal use I hope no one would ever do that. The only functional issue I came across with the Uniti Nova was that it produced a low-level turn-on thump through the Elac Adante AF-61 loudspeakers when it came out of standby mode. I heard no thump when the Uniti was connected to AV123 Skiing Ninja-modified X-Statik loudspeakers, which are only slightly less sensitive than the 87dB Elacs. Most streaming devices have Bluetooth as one of their input (or output) options. Regular plain-vanilla Bluetooth isn’t any better in resolution than a mid-level MP3 file, but the newest Bluetooth codec, AptX HD, which is what the Uniti Nova has, is slightly better than a 320BPS MP3 file, and almost as good in resolution and bit depth as a Red Book CD. Yes, it’s still lossy, but a lot less lossy than the original Bluetooth codec. Happily, as noted above the Uniti Nova offers AptX HD. One more ergonomic issue, principally for those audiophiles who have cats: The Uniti Nova doesn’t get hot, even after hours of operation, but it does get warm. The warmest area is right around the top-mounted volume control. It took my cats only a day or two to discover that the top of the Uniti Nova was the purrfect temperature for naps. When the Nova is in standby, this is no big deal, but when in use a shift of position by the designated napper can result in a substantial change in volume levels. For pet owners, the option to deactivate the volume control knob would be a nice feature. An alternative (that I employed) is to place the Uniti Nova on a shelf with very little room above it. Sorry, pampered putty-tats, you can’t fit in there!